What good is an economic dinner if it doesn’t taste good? And how many ways can we really make chicken… Endless possibilities I think, and this one is a good’n! It’s ultra simple, completely delicious and will have the kiddos begging for seconds! Using chipotle chilli powder gives the chicken and nice smokey flavor that’s got a touch of heat but isn’t spicy. Serve this with rice and beans if you like but it’s hearty enough to serve with a nice salad and call it a day! Either way, this smokey, cheesy concoction is sure to please. This is day 2 of 3. Day one can be found right here! 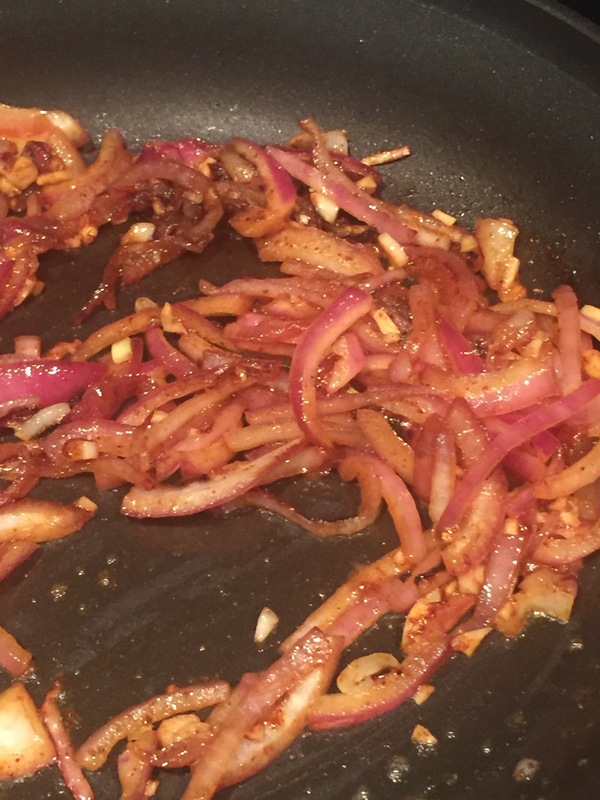 In a non-stick skillet, sauté onion and garlic until the onion starts to sweat. Add shredded chicken and chipotle powder and heat through. Salt and pepper to taste. Set aside and wipe out the skillet. Over medium heat, melt one Tbsp butter. Immediately add a tortilla. 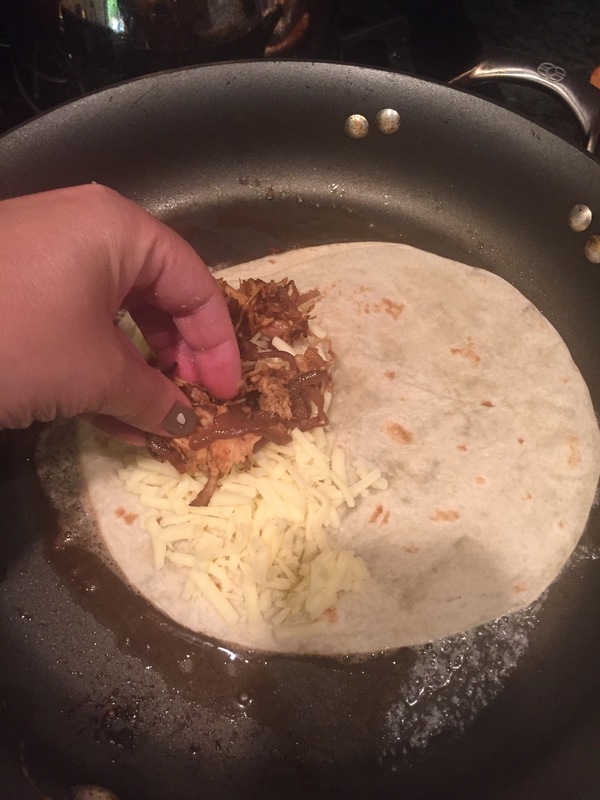 Sprinkle 1/2 cup shredded cheese and 1/6 of the chicken and onion mixture over half of the tortilla. 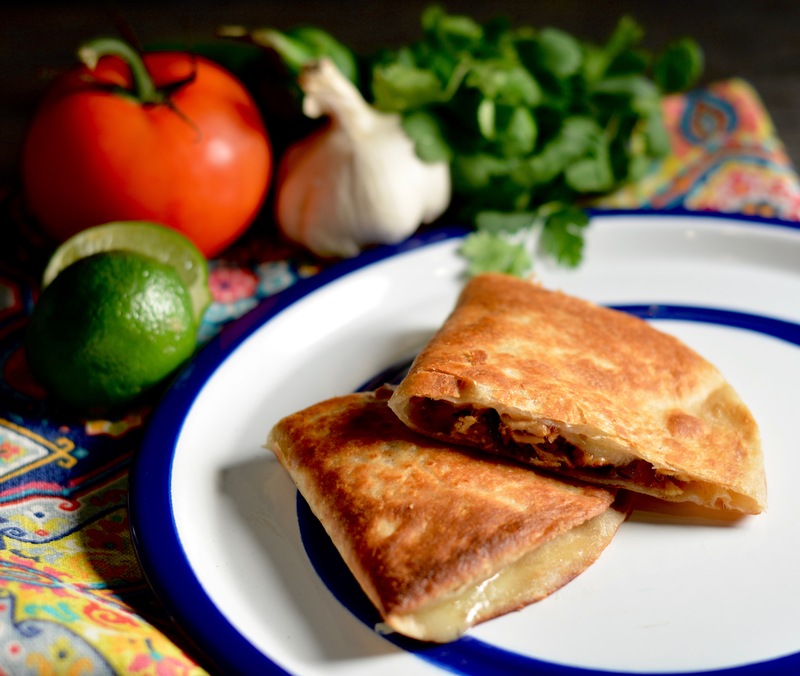 Fold other half over filling and turn the quesadilla. Cook until golden brown and crisped. That’s it. Easy peasy lemon squeezy! If your kids don’t love this, send their tiny asses to bed hungry cause, they’re trippin. Swearing Mom out.